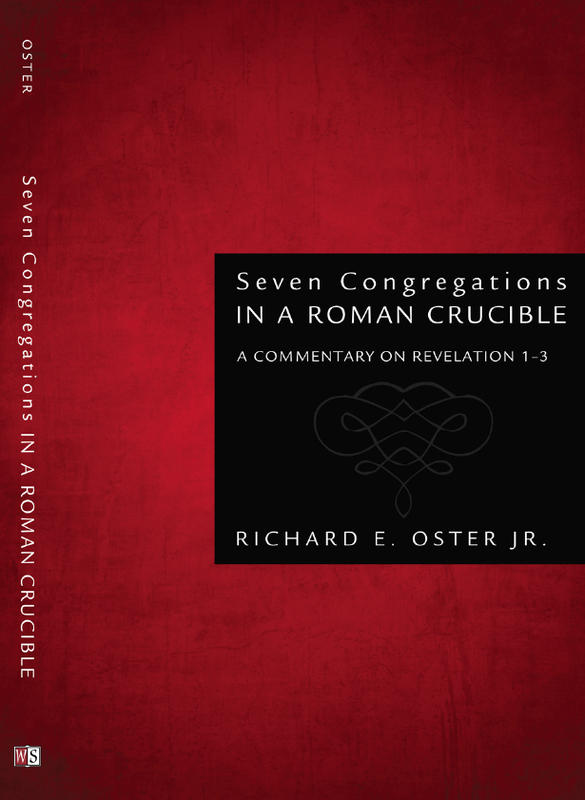 When writing my commentary on Revelation chapters 1-3, I finally reached the point when I could no longer vacillate about the title of my commentary. How was I to translate the Greek term ἐκκλησία (ekklēsia) that the prophet John used for each of the communities that he wrote? It has certainly been traditional to entitle this kind of commentary as a study on John’s “Letters to the Seven Churches.” Should I call these communities that followed Christ “churches” or “congregations”? Then I remembered the preface to the first edition of the King James translation of the Holy Scriptures. Toward the end of the eleven page “Translators to the Reader” that was regularly a part of the earliest printings of the KJV, one of the leaders of the translators from Oxford and Cambridge wrote, “Finally, we have on the one hand avoided the strictness of the Puritans, who reject old ecclesiastical words and adopt other words, preferring washing for baptism, and Congregation instead of Church” (Drs. E. F. Rhodes and L. Lupas, The Translators to the Reader, The Original Preface of the King James Version of 1611 Revisited, p. 84). In fact, this strictness of the Puritans reflected not only their rejection of “old ecclesiastical words,” but also their accuracy in translation. For unlike the English term “church” which invariably refers to a Christian organization or structure, the Greek term ἐκκλησία (ekklēsia) used by John the prophet was a far less religious term in ancient Greek. When there is a meeting of the PTA, or a city’s council, or a group of legislators we do not designate any of these as a church. Acts 19:32, 39, and 40, as well as numerous examples from pagan literature, however, use this term ἐκκλησία (ekklēsia) for similar non religious meetings. Thus the KJV translators took a Greek term that was not essentially religious and changed it into an English term which was not only religious, but particularly Christian. Accordingly, I decided upon “Seven Congregations” rather than “Seven Churches” since this choice not only seems to resonate with the spirit of John’s term ἐκκλησία (ekklēsia), but also does not as easily conform itself to the architectonic Christianity that dominated the thinking of King James I and his translators. These seven communities that John addressed were individual congregations of women and men who, with varying degrees of faithfulness, followed the Lamb, and certainly did not see themselves as part of a religious organization with a corporate profile. It is so easy to read our own context into the scriptures. By not using the word “church” you will undoubted cause reflection which will hopefully help the readers to think more deeply and discover how the people John originally addressed lived in community. Too many in positions of leadership in assemblies today are drifting too far from the shore of asking what the text meant to the original audience before attempting to determine what that text means to us. I believe it was Richard Rogers who got me started using the term “assembly” or “congregation”, more than 30 years ago. I still find myself alone too often in the understanding, and hope this work will shine on a few more. Richard Rogers was on target when he made that point. The Puritans were right, especially in the context of European, highly structured, Christianity to push for “congregation.” Word choices can be important and they do shape our views of reality. Thank you so very much for your articles. They are, as always, clear, challenging, and spot on. The research is outstanding and a great help to all of us trying to spread the Gospel and the message that will touch the hearts of those in our own “Romanesque Crucible” of today. Blessings on you and yours. I am still waiting for your book to arrive. I can’t wait to read it. Thanks for coming to the blog and your kind words. When you have had a chance to look at the book let me know what you think! I have already started early thoughts about volume II.